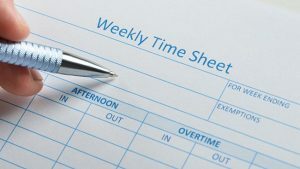 THE LOS ANGELES WAGE & HOUR LAWYERS AT AZADIAN LAW GROUP, PC REGULARLY REPRESENT CLIENTS THROUGHOUT LOS ANGELES WHO ARE THE VICTIMS OF WAGE THEFT, DENIED OVERTIME, MISCLASSIFIED AS EXEMPT EMPLOYEES, DENIED MEAL/REST PERIODS, AND OTHER WAGE & HOUR EMPLOYMENT ISSUES. The award winning Los Angeles Wage and Hour Lawyers & Unpaid Overtime Lawyers at the Azadian Law Group, PC are committed to protecting employee’s rights and has successfully represented numerous employees in wage and hour disputes in both individual lawsuits and class actions. Not only are we experts in overtime and other wage & hour laws and provide lectures to other employment lawyers on wage & hour issues, we fight employers aggressively to make sure we secure the maximum recovery for employees whose rights have been violated. Additional helpful information from the California Division of Labor Standards Enforcement (DLSE) can be found here. If you believe that your employer has failed to follow the law in the payment of your wages, contact us today for a free consultation with an experienced employment attorney who will evaluate your options under the law to enable you to obtain justice and monetary compensation. Please call (626) 449-4944 or (213) 229-9031 or (949) 662-5405 for a free consultation.